Exceptional Nurse:"Welcome! If you are a student with a disability considering a nursing career, this is the place for you. If you are a nursing student with a disability, this is the place for you. If you are a nurse with a disability, this is the place for you. If you are a nursing educator or a guidance counselor working with a student with a disability, this is the place for you. Exceptionalnurse is committed to inclusion of more people with disabilities in the nursing profession. By sharing information and resources, Exceptionalnurse hopes to facilitate inclusion of students with disabilities in nursing education programs and foster resilience and continued practice for nurses who are, or become, disabled." Americans with Disabilities Act, by Joe A. Flores, JD, FNP, MSN, CCRN, Malenursemagazine.com:"Thankfully, over the last few decades, the government has provided for individuals with disabilities through the Americans with Disabilities Act (ADA). What is ADA? The federal Americans With Disabilities Act (ADA) makes it illegal to discriminate against someone with a disability. This law took effect on July 26, 1992, for companies with 25 or more employees, and July 26, 1994, for companies with 15 or more employees. What Qualifies as a Disability? A disability is a substantial physical or mental impairment that limits one or more major life activities such as walking, breathing, hearing, seeing or learning. Acquired Immune Deficiency Syndrome (AIDS) and HIV infection are considered disabilities." Susan B. Matt, RN, MN, Attorney at Law:"Nurse-Attorney providing general legal services to the public, including, but not limited to: disability accommodation consultation; marriage dissolution; adoption; and will drafting. Extensive experience with issues related to hearing loss." Nurses House, Inc. A National Fund For Nurses In Need:"When hardship strikes, it is especially difficult for those of us accustomed to giving care to seek support from others. To help nurses in need, Nurses House extends short term financial assistance to registered nurses in difficulty as a result of injury, illness or disability." Nursing Students with Disabilities, Change the Course, Donna Carol Maheady, Ed.D., C.P.N.P., RN:"Proud receipent of the 2004 American Journal of Nursing Book of the Year Award in the Nursing Education & Continuing Education Category. We learn by experience, both personally and systemically. Donna Carol Maheady has used her personal experience as a nursing educator teaching nursing students with disabilities, and as a parent of a child with significant disabilities, to write "Nursing Students with Disabilities: Change the Course". We all have the opportunity to learn from her experiences. Nursing Students with Disabilities charts the course of eight nursing students who have disabilities as they complete arduous nursing training. The students' stories, by themselves, are inspirational and educational. By describing their own challenges of deafness, Crohn's Disease, physical disabilities, etc., the students show us that where there is a will there is a way." Abledata.com:"ABLEDATA is a federally funded project whose primary mission is to provide information on assistive technology and rehabilitation equipment available from domestic and international sources to consumers, organizations, professionals, and caregivers within the United States." Americans with Disabilities Act, U.S. Department of Justice:"The ADA Home Page provides access to Americans with Disabilities Act (ADA) regulations for businesses and State and local governments, technical assistance materials, ADA Standards for Accessible Design, links to Federal agencies with ADA responsibilities and information, updates on new ADA requirements, information about Department of Justice ADA settlement agreements and enforcement activities and access to Freedom of Information Act (FOIA) ADA material." Association of Medical Professionals With Hearing Losses, abbreviated as (AMPHL):"Association of Medical Professionals With Hearing Losses, abbreviated as (AMPHL), is a non-profit organization formed in the year 2000 by individuals who recognized the profound need to address issues surrounding their hearing losses as members of health care fields. AMPHL specifically targets those with degrees in professional health care fields such as physicians, veterinarians, dentists, nurses, physician's assistants, technicians, audiologists, therapists, as well as students from these respective fields. This organization was formed for several reasons. As the American With Disabilities Act becomes more integrated in medicine, an increasing number of individuals with hearing losses are entering health care fields." Care4Dystonia, Inc.:"Beka Serdans, RN, MSN carries multiple "hats - that of being a patient diagnosed with dystonia; that of being an active healthcare professional and strong patient advocate. She has developed the innate ability to see all sides of dystonia - creating Care4Dystonia, Inc. in 2000 as an avenue to help publicize dystonia to the media. Beka appeared on NBCs Dateline in 1998 with Dr. Mitchell Brin, MD in a story covering the use of Botox for dystonia. Since then she has appeared in multiple media venues , more often writing about her own experiences and battles with the disease in the 2 popular books I'M Moving Two and I'm Moving On...Are U??. Care4Dystonia, Inc. is a nationwide community-based voluntary health organization ( 501c3 nonprofit ). Developmental Disabilities Nurses Association:"The Developmental Disabilities Nurses Association - the Professional Organization for Nurses Serving Individuals with Developmental Disabilities D.D.N.A. was incorporated in 1992 as a non-profit professional nursing organization, founded to meet the professional needs of nurses serving individuals with developmental disabilities. Governed by a five-member Board of Directors consisting of the elected officers, D.D.N.A. represents the collective interests of its members through a national structure and regional networks." DisabledAndInjuredHealthcareWorkers · HC Profs who live with a disability, Susan Townsend BS RN List Owner, Yahoo Groups:"This group was started by a couple of RN's who live with disabilities, but want to remain as active members of the healthcare community. We are continuously making efforts to increase the awareness of the healthcare community as to our desire to return and continue working with accommodations. It appears that once a nurse or healthcare worker is injured, either physically, mentally or emotionally; the healthcare community throws us away and expects us to accept it. We are not interested in leaving nursing or healthcare. We can still offer our experience and knowledge to our colleagues. We want to find ways for healthcare workers that have a disability to remain employed. If you are one of these or just interested in changing things, we welcome you to our forum and encourage your feedback. We would like you to post some personal information such as your disability story as we like to know a little about our members. As you might expect, we will not tolerate anyone posting inflammatory posts, advertising in any form for your business, or any post that is inconsistent with the the purpose of our group." DisabilityKey:"In your journey toward financial independence within the confines of your disability, it's good to get assistance from someone who has not only the technical expertise, but the real disability experience. One without the other is simply not enough. It's the objective of DisabilityKey to merge this expertise and experience into one comprehensive package designed to help you regain control of your life, your illness, and your future." Deaf-hardofhearingnurses · Deaf/Hard of Hearing Nurses:"A place for nurses who are deaf, hearing impaired, or hard of hearing (HOH) can come together to un-wind and discuss issues dealing with difficulties in everyday life with or without professional life. We welcome nurses of all specialties, EMTs, paramedics, pharmacists, medical assistant, and many others in the field of medicine. Enjoy! National Association of Disability Representatives, Inc. (NADR):"For many years, Professional Social Security Claimants Representatives have wanted to have an organization that would be interested in their issues, educational opportunities, and interests. In March of 2000, 35 individuals, Professional Social Security Claimants Representatives all, met in St. Louis, MO. These individuals formed NADR, Inc. after a day of intense conversation and negotiation. They chose the name you see at the head of this memo and decided to operate as a "not-for-profit" devoted to the following goals . ."
National Association of School Nurses for the Deaf:"The National Association of School Nurses for the Deaf is an association open to school nurses currently working with Deaf students across the nation." Help Wanted? Consider Nurses with Disabilities, Donna Carol Maheady, ARNP, EdD, Nursing Spectrum:"AS THE MOTHER OF A DAUGHTER with disabilities, I’ve been involved in handicap advocacy efforts for many years, but it wasn’t until I conducted my doctoral dissertation research1 that I learned about the contributions that nurses with disabilities can make to the profession — and the regrettably scarce resources available for this growing group of RNs. That’s why I took a giant step two years ago and created a nonprofit website for nurses and students with disabilities. Called www.ExceptionalNurse.com , the site serves as a resource network for nurses and students with disabilities. It provides links to disability-related organizations, technology, equipment, financial aid, mentors, employment opportunities, and legal issues, as well as related articles and research. Since the website’s debut, more than 8,000 visitors have logged on." Administrators' Attitudes Toward Hiring Disabled Nurses:"An accessible but previously untapped market for staff is disabled registered nurses. The authors report the results of a survey sent to nursing home and hospital administrators assessing their attitudes toward hiring disabled RNs. The differences between nurse administrators and non-nurse administrators were significant. 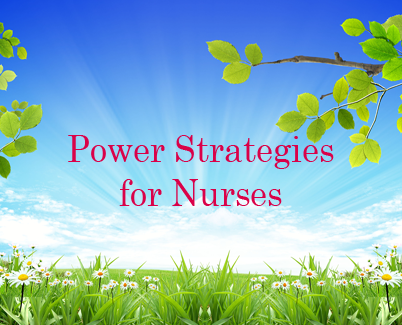 The authors suggest strategies to incorporate disabled nurses into the work force." The meaning of disability in a caring environment. Pohl CM, Winland-Brown JE:"Department of Health Administration, College of Social Science, Florida Atlantic University, Boca Raton. The meaning of disability on perception of self-worth as a nurse was identified through this qualitative study of disabled registered nurses. A metaphor emerged depicting the phenomena of the lived experience of disabled nurses. The results indicate that by creating a caring environment, nurse administrators can encourage disabled RNs to return to nursing practice." The Duty To Accommodate In Action:"While the duty to accommodate disabled employees is firmly entrenched in today's workplace, many problem areas remain. In our three-part series on accommodating disability, we point to key trends emerging in the case law." A discussion group for those interested in the provision of access to health care education, and the professions, for people with disability. You will receive an email asking you to confirm your membership to the discussion list. Job Accommodation Network:"The Job Accommodation Network (JAN) is a free consulting service that provides information about job accommodations, the Americans with Disabilities Act (ADA), and the employability of people with disabilities." Model Me Kids®:"Model Me Kids® is dedicated to producing high quality teaching tools for children with Autism, Asperger Syndrome, PDD-NOS, and Nonverbal Learning Disorder. We strive to make our products affordable so that they are accessible to both families and educators. Our projects are entirely self-funded. Proceeds from sales are used to produce future Model Me Kids projects. We appreciate your support in this effort. We are here to answer your questions. Please feel free to call or email us. We always enjoy the personal feedback that we receive from parents, teachers, and children." Mothers From Hell 2:"Advocating for disability rights... We will not be silenced! MFH2 is a national group of parents, relatives, friends, and anyone who just plain 'gets it' fighting chipped tooth and broken press-on nail for the appropriate education, community acceptance, desperately needed services, rights of and entitlements for individuals with disabilities. (Hey, we're moms, we can rattle off really long sentences like that without stopping!) MFH2 offers more support than a 44DD underwire and more empowerment than a tanker full of caffeine, chocolate & Viagra! We FINALLY have our 501C3 Tax Exempt Status!!! Your donations are now TAX- Deductible!!!! Remember, it's always nice to give to your Mothers!" Network for Overcoming Increased Silence Effectively (NOISE):"NOISE (Network for Overcoming Increased Silence Effectively) is an international support forum for discussion of topics relevant to medical professionals with hearing losses. NOISE is open to all medical professionals and current/prospective medical professional students (of at least fifteen years of age) with any degree of hearing loss. NOISE also welcomes professionals closely affiliated with such individuals (disability office personnel, audiologists, administrators of schools of education). Mayer Shevin, Ph.D., Shevin Consulting:"Mayer Shevin is a consultant in private practice, working with individuals with disabilities and the people,communities and organizations in their lives. He helps people who are establishing circles of support, and those organizations seeking to foster such circles." Unique Opportunity For Deaf Students, University of Salford School of Nursing (UK):"Salford has launched Europe's first Nursing course for deaf students as part of the Government's Making a Difference Strategy. The School of Nursing is one of 16 centres nationally to have been selected to pilot a new curriculum, designed to be more flexible and more inclusive. And the unique opportunity being offered to deaf students has won recognition from both the Government and the Nursing profession for its groundbreaking approach." U.S. Equal Employment Opportunity Commission (EEOC):"With its headquarters in Washington, D.C., and through the operations of 50 field offices nationwide, the EEOC coordinates all federal equal employment opportunity regulations, practices, and policies. The Commission interprets employment discrimination laws, monitors the federal sector employment discrimination program, provides funding and support to state and local Fair Employment Practices Agencies (FEPAs), and sponsors outreach and technical assistance programs. Any individual who believes he or she has been discriminated against in employment may file an administrative charge with the EEOC. After investigating the charge, the EEOC determines if there is "reasonable cause" to believe discrimination has occurred. If "reasonable cause" is found, the EEOC attempts to conciliate the charge by reaching a voluntary resolution between the charging party and the respondent. If conciliation is not successful, the Commission may bring suit in federal court. As part of the administrative process, the EEOC may also issue a Right-to-Sue-Notice to the charging party, allowing the charging party to file an individual action in court without the Agency's involvement." westcanproducts:"We are a Canadian company that sells top quality aids to daily living products. Each item is displayed via a large color photograph and a clearly worded description. Our products are listed in U.S. dollars and are competitively priced. We ship to Canada and the United States and have a 30 day satisfaction assurance policy. We are committed to providing excellent customer service." Nurse Uses Mentors to Reach Her Goals Nursing, Hearing Disabilities:"From the time she was born, Molly Jenkins, R.N. of Columbus, Indiana had people she could look to for guidance. Hearing impaired since birth due to a hereditary genetic hearing loss, Jenkins had her mother, also hearing-impaired, as both audiologist and mentor. Her mother guided her through the process of acquiring her first hearing aid when she was five, and her choice to use bilateral aids later as her hearing grew worse in college." Hearing-Impaired Nurse Files Suit Against Hospital:"A former Henry Mayo Newhall Memorial Hospital registered nurse has filed a lawsuit against the hospital seeking more than $750,000 in damages, alleging the hospital refused to accommodate her disability, created a hostile work environment, discriminated against her and harassed her. The lawsuit was filed Friday in Los Angeles Superior Court by Kimberly Henderson, who said she has 4 percent hearing in one ear and 25 to 40 percent in the other. Henderson alleges she was forced to resign from Newhall Memorial on Nov. 19 after the hospital deliberately failed and refused to accommodate her need for a hearing-assist dog to help her perform her job duties as a nurse. "Filing this lawsuit was a difficult thing to do," said Henderson, who says she lost her home and car after resigning from Newhall Memorial. "As nurses we don't do that, but it came to a point where what they were doing was wrong. It was morally, ethically and lawfully wrong. I went from an independent middle-class life to having my brother support me and my 2-year-old child." Newhall Memorial spokeswoman Andie Bogdan said that since the hospital had yet to be served with the lawsuit, she couldn't comment on it."